Home » Sponsored Post » Make way for Huawei; Watch out Samsung and Apple! Make way for Huawei; Watch out Samsung and Apple! As more and more Asian phone makers are making their way through the global smartphone market, top sellers Samsung and Apple are increasingly threatened to keep their voice atop and secure market shares. According to market research firm Kantar Worldpanel, Chinese phone makers, like Huawei and Xiaomi, are steadily grabbing market shares in fast-growing developing markets, while consumers in the slower-growing developed markets are more reluctant to switch brands. Huawei, according to Gartner is the world’s third-largest producer of smartphones with an 8.9% market share in the second quarter of 2016, well behind Apple Inc.’s 12.9% and Samsung Electronic Co.’s 22.3%. According to the same study, 88% of current Apple users in the U.S. say they will buy another iPhone and 86% of Samsung owners want to stick with the brand. In China, however, Samsung had just a 9% share of sales and Apple had almost 20%, said Kantar. Local manufacturer Huawei beat them both, grabbing almost 26% of the market. In India, Samsung is leading without giving specific market share figures. Both Apple and Huawei have also targeted the market for growth. 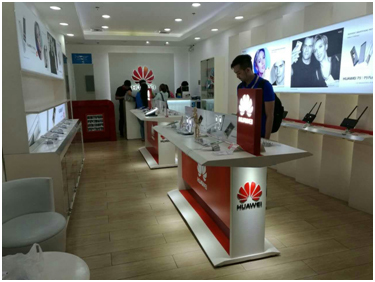 In the Philippines, however, the rapid growth of the mobile industry was perceived by Huawei as an opportunity to expand and further develop services as published by the Manila Bulletin online. On the other hand, sales of Samsung are expected to hit an all-time low in the Philippines due to the Samsung Note 7 global recall. These pave way for opportunities for Huawei and Apple to claim their stand in the mobile phone market. Title : Make way for Huawei; Watch out Samsung and Apple!